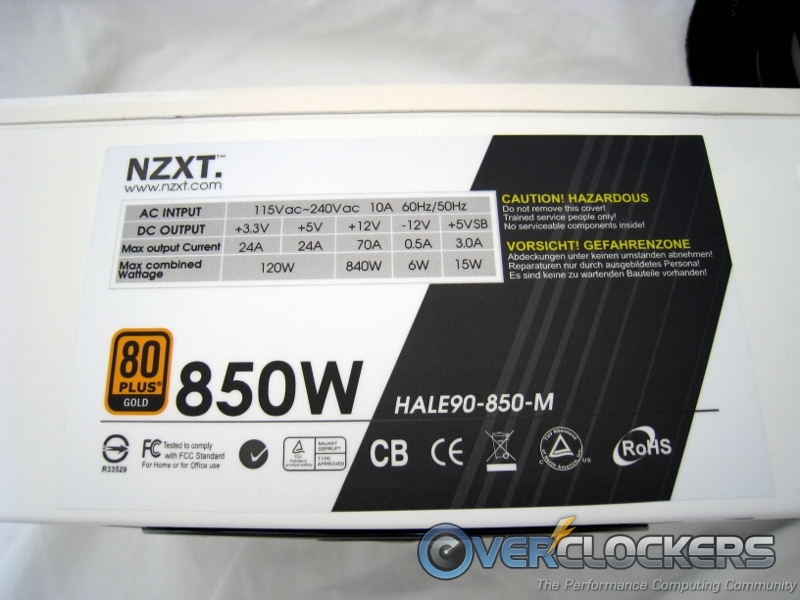 NZXT has a new entry in the power supply (PSU) market: the HALE90 850W. They have been producing stylish cases for several years, and this PSU follows in those footsteps. I’ve always been a big fan of minimalist design. 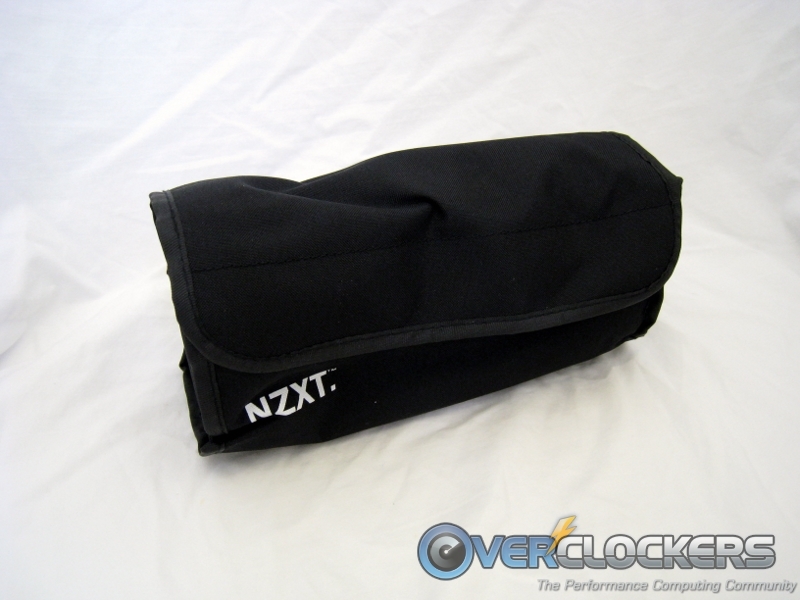 I absolutely love what NZXT has done with the box on this product: it’s visually appealing, it’s not in your face, and it’s very easy to grasp the key details. Right on the front, the key features are showcased so you can quickly see what sets this PSU apart from others. Moving on to the side of the box, you can see two graphs. One shows the efficiency with respect to load on the unit, and the other shows the noise level with respect to load. There is no explanation on how these figures were reached, so they could be made up for all we know. The back of the box does have more details, though. The first two lines seem to corroborate the two graphs by stating the data which matches the graphs, but still no real details on testing procedure. The most notable details for me are the claimed 70 A, 840 W on the single +12 V rail plus the shear number of included connectors. All of these connection options provide support for the latest Intel and AMD platforms as well as the newest DirectX 11 video cards and quad-GPU setups. So, by looking at these specifications alone, everything sounds pretty rosy with this PSU. 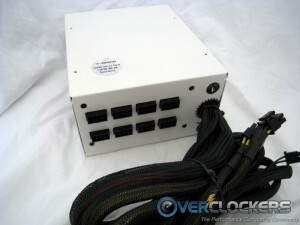 Opening the package, I was pleased to see the quality white paint job on the PSU and the sheathed cables. 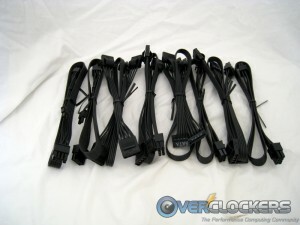 I was also pleasantly surprised to see all of the extra component cables were neatly kept in a nylon case. It’s not necessarily the highest quality case, but has a Velcro closure and is much better than a simple plastic bag. There are some thumb screws included which are nice to have but not entirely necessary. From my own experiences, the PSU is the one component that does not get changed very often in my cases, so the convenience that thumb screws provide is sort of wasted in this area. However, you can always take these thumb screws and use them elsewhere in your case, so chalk them up as a nice freebie. The included user manual isn’t anything special. The same information is located on the box, but it’s repeated in several different languages in this manual. 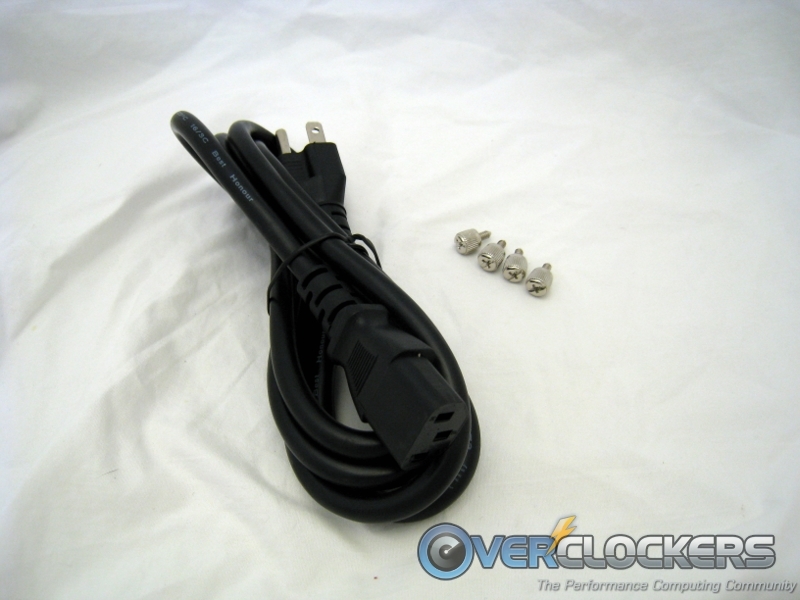 Last but not least, a standard power cable is included – because you obviously need a way to get power from the wall socket. Now is the really fun part: let’s tear this thing open and see what’s on the inside! 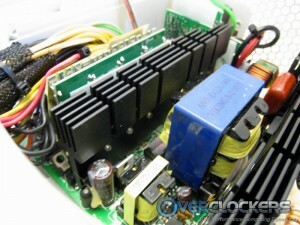 Aside from the Nippon Chemi-Con capacitors (caps) scattered around, we’re really looking to find out which OEM actually built this unit. Unfortunately in this case, there is no definitive sign of who the OEM is, so we’ll have to do some more investigative work on the internet. The sticker on the outside of the case and the box don’t have a UL number, but they do have a BSMI number: R33529. A quick search on Google shows that Super Flower is the OEM and the most similar unit I could find on their website is the Golden Green SF-800P14XE, which leads me to believe the 850 W model is reserved for licensing customers, like NZXT. 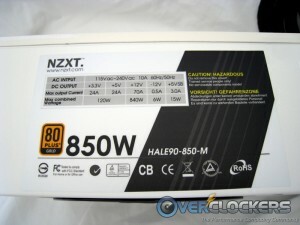 The 80Plus website has information on both the 800 W and 850 W units that are Gold Certified. Searching further for tests done on other 80Plus Gold Certified Super Flower power supplies leads to jonnyGURU’s review of the Kingwin Lazer Gold 1000w, which received an 8.5 out of 10. If you haven’t heard, jonnyGURU is a very reputable source for power supply reviews. Super Flower doesn’t have the best reputation for being a quality OEM, but going by jonnyGURU’s review of the Kingwin model, these units aren’t complete junk. 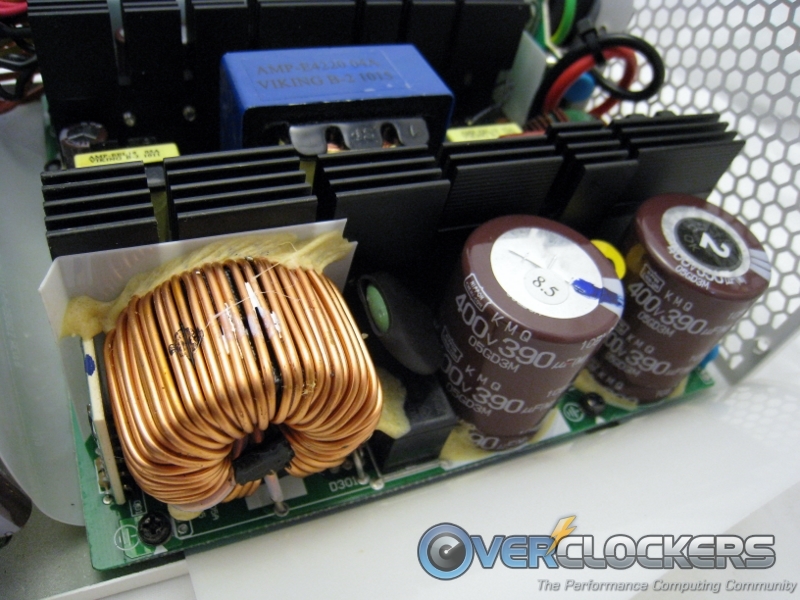 Without any proper testing of the loads and ripple, we can’t make any authoritative conclusions about how this PSU performs. 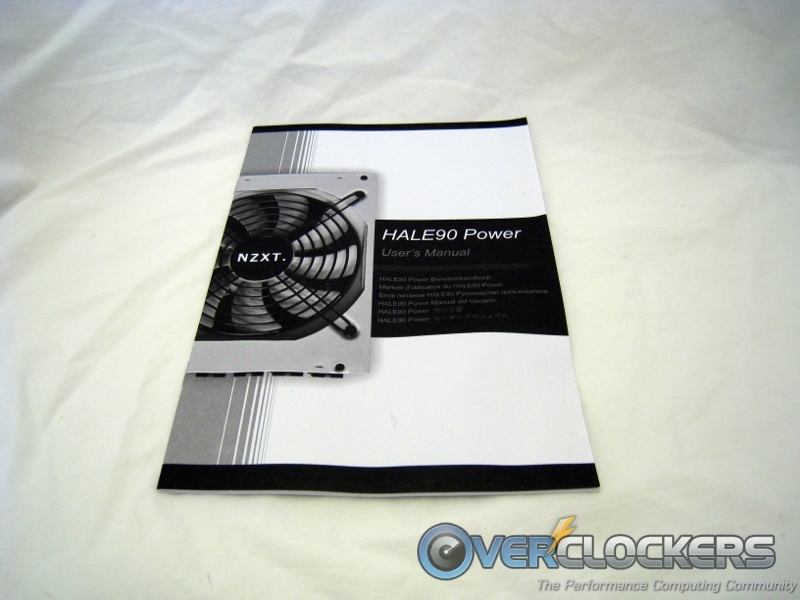 We can, however, say that the NZXT Hale90 850 W does have all of the options a custom computer builder would be looking for. The white paint might not be for everyone, but it is very clean. 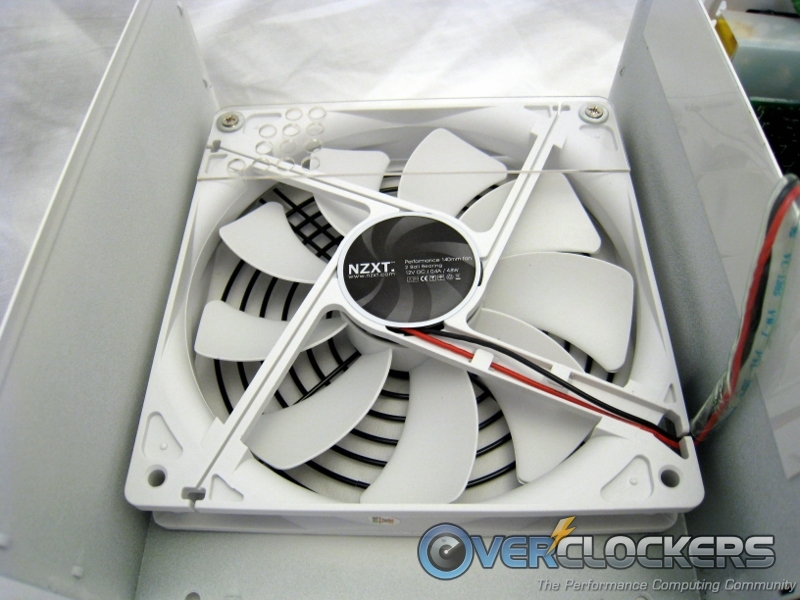 The 140mm fan is very quiet and the ability to add or remove extra cables as you need them will help keep your case clear of clutter. 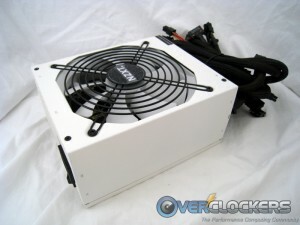 Also, if the jonnyGURU review of the Kingwin Lazer 1000 W is any indication, then this power supply will be fairly decent. 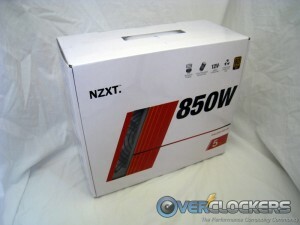 Finally, I’d like to say “thank you” to NZXT for providing us this product to explore. Next Article Spray Off: "Hands of the Gods"
Uhh.. Nice scam, free PSU for posting up a few pictures of it? Where do I sign up? 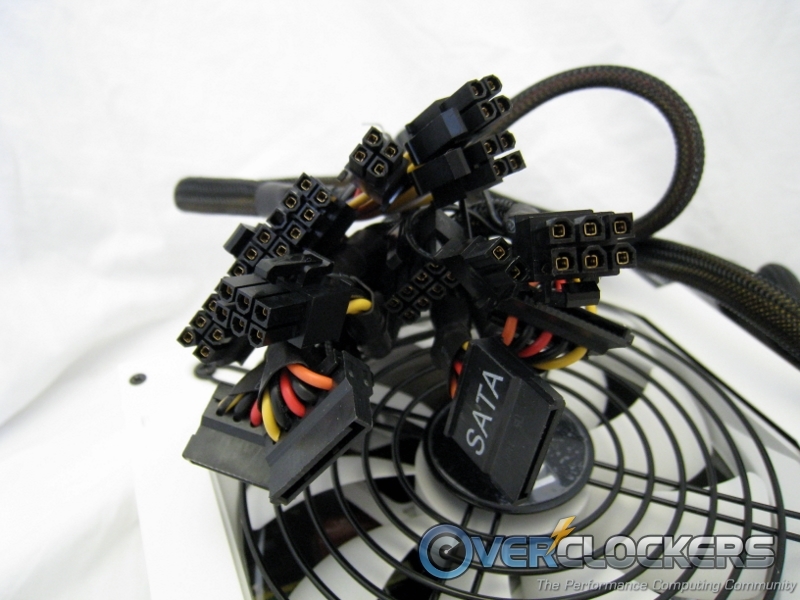 Ratbuddy, plenty of sites do reviews they aren't qualified to do on PSUs - we do not. 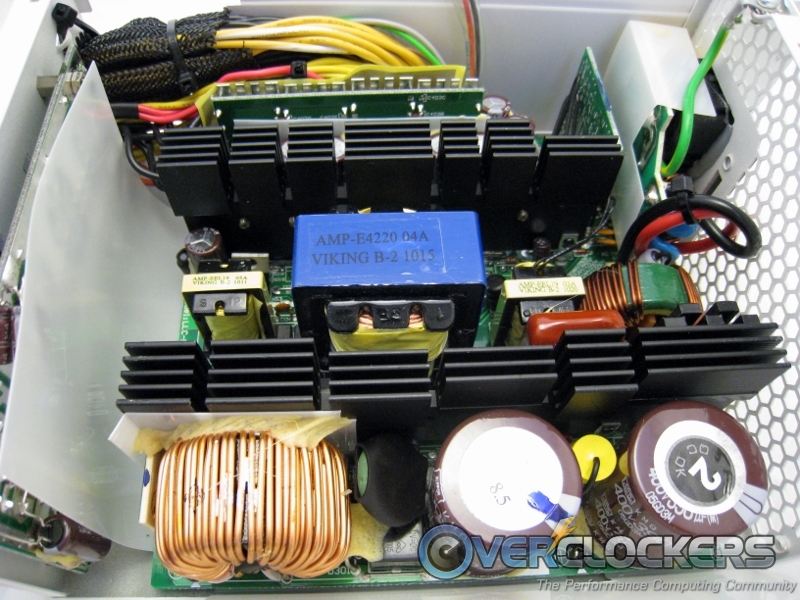 Until we are qualified and have the proper testing equipment for PSUs, we are doing tours and walk throughs showing whats out there and highlighting the pertinent features. We try to reference reliable sites like jonnyguru or hardwaresecrets who have the appropriate equipment. Our alternative is ignoring the entire PSU market. It makes more sense to do what we can now, while we have things progressing in the background so that we are more capable sometime soon. Several efforts are currently underway. Until we are ready to do reviews, we'll continue working with vendors and manufacturers as we are able and building our contacts. Unlike other sites which claim to do PSU reviews but their testing demonstrates they aren't capable and they are clueless how to do a proper review - this article is presented for what it is - a tour. ...Or you could just bash things and look like a jerk. 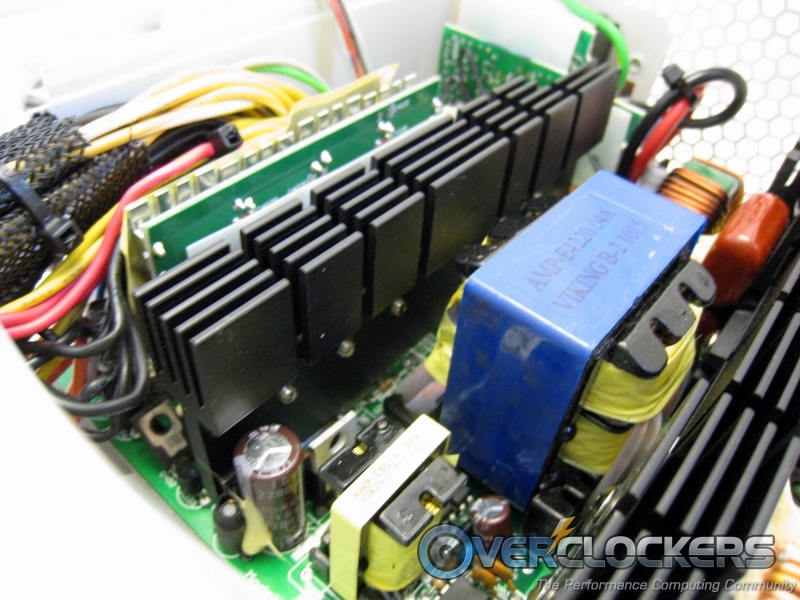 By the way, this site is run by volunteers - are you qualified and capable of testing PSU's? We could use the help but you haven't stepped up. I guess its a lot easier to sit back and critically armchair it than it is to actually do anything productive. The powers that be (and I don't mean I.M.O.G., I mean iNet) are reluctant to put money into testing equipment. Until they do, we aren't equipped to properly say "this PSU is/isn't good". We hope to have proper PSU testing kit sooner rather than later, and when we do you'll see a raft of PSU reviews where we revisit and compare PSUs we've only so far scratched the surface with. I wont lie: we are stockpiling hardware to some extent. But it's all for future work, when we've got the kit and the experience to push out deeper and more insightful articles. Seriously though, if you have constructive input and suggestions, we're all ears. 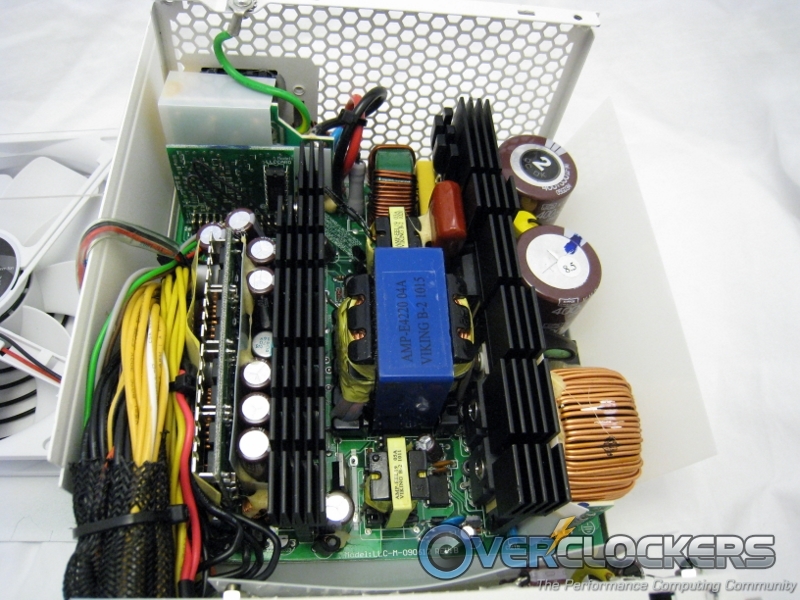 Despite being a decade old, Overclockers.com in it's current form is a very young site, driven by the forum community, and we like that. Hey, I've offered to do meaningful reviews, but noone gave me the go ahead to contact manufacturers for samples of interesting gear. I'd rather see nothing on the front page than what is basically a free press release for Nzxt. 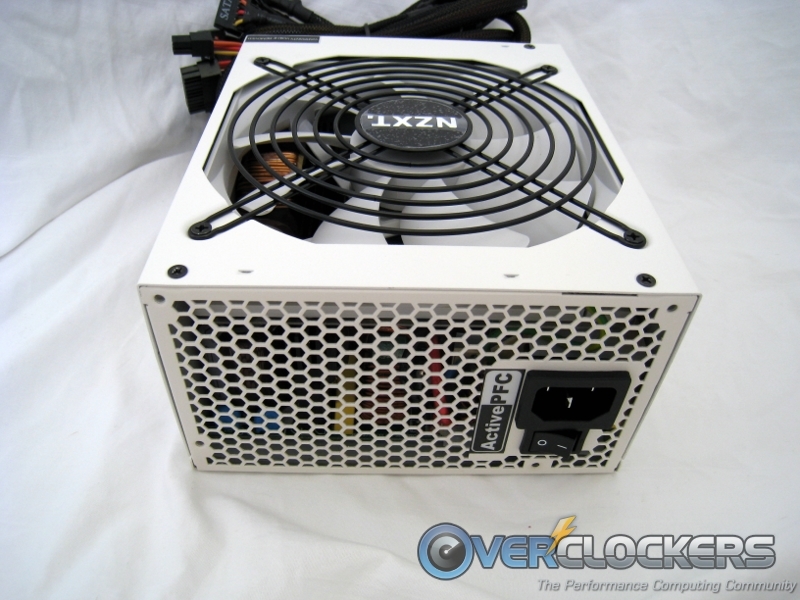 I know the guys who just hook up a PSU to their DMM and run a 20% load followed by a pronouncement that "yep, it's a PSU" are a joke, but they're trying.. This is an 80 plus gold PSU, so why not at least hook it up with a kill a watt and see how much power it saves in a real rig? If we're gonna be posting more of this type of thing, investing $40 in a couple tools to at least give voltage readings and efficiency comparisons might be a good idea. 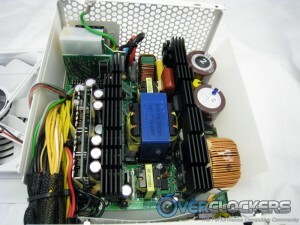 For a number of reasons, we are the only people authorized by iNet to contact manufacturers as Overclockers.com representatives. Frankly, with your style of posting that's just chock-full of tact evident above, I wouldn't want you to contact any even if that weren't the case. PM one of us with an email address you would like to use for wordpress. Come up with something relevant on hardware you have and write it. Or a guide / how-to. Anything that hasn't been written that could be useful to the site's readers. We'll see how you do with that. If it's up to snuff, let us know what hardware you want and we'll see if we can get it in your hands. Saying what I quoted is a cop-out. Prove your worth and we'll do what we can to get the hardware. Just the same as you are saying we could invest a small amount, so too could you invest a small amount in some hardware to review and build your portfolio to show us you are serious and trustworthy. 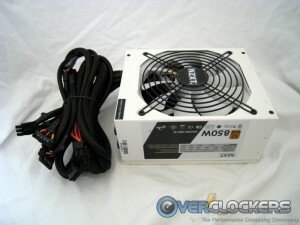 As far as hooking a DMM up to a PSU, it's pretty close to worthless. Without taxing it to the rated capacity, there is nothing meaningful to gain from doing that. Energy efficiency readings will also be difficult with a kill-a-watt. I have a good one (tested against calibrated, government equipment) and its margin of error is about +/- 2%. Considering the difference between 80 Plus Silver and 80 Plus Gold is 2% across the board, it may be difficult to come up with any meaningful conclusions there as well. Because doing so is misleading and its a disservice to the readers. Many sites take the perspective you have on this, and they haven't done the reading necessary to understand why they are publishing inaccurate information - they don't understand, or they don't care, that they have no idea what the accuracy is of their "reviews". Sometimes it is better to do what you are able to do accurately, rather than try to do what you aren't able to do, then report on your results without having any clue how accurate they are. Taking power readings is a science, there is no way around that. Without knowing how accurate your readings are, you aren't doing science, and thereby you aren't producing anything of value - in fact, you are quite likely misleading people who may not know any better. More than anything, we aim to avoid intentionally misleading anyone. Especially when the correct way or a better way of doing things is well understood. We operate editorially with a budget of $0. Our volunteers are already donating a wealth of time producing and editting articles. As we find creative ways to offer more, and do things the right way, that is exactly what we'll do. Until then, we can only do what is within our means and make decisions that put us in a stronger position to produce better work in the future. 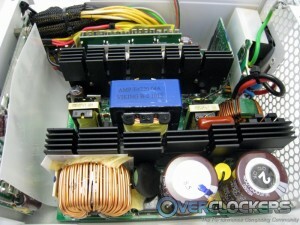 I like getting a closer look at components, I think the correct approach has been taken, Without the proper equipment you don't claim to have insight into the unit's true performance, Yet you can find out who built the unit (which goes along way's towards figuring out the quality) And you get a good look at the unit. Many folks are concerned about noise, Perhaps firing the units up and putting a moderate load, (Something the average user would have) and giving some feedback on the noise level under load could be a benefit. I believe a good number of our members have a good idea of where to go to get detailed PSU reviews in regard to actual performance. I see no negative in regard to the OCer's staff putting up articles like this one. It gives us information and doesn't mislead us into believing the information is any more than what is stated. Btw, I actually like the white! Good suggestions, determining an average load gets a bit mushy but it wouldn't be hard to come up with a reasonable figure to use for that. Creating and maintaining a consistent load is a little trickier unless you have the right equipment, which is where we'd run into trouble again. Good sound readings demand a well controlled environment or some sort of Anechoic chamber. 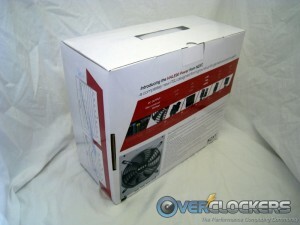 Granted, our community doesn't care THAT much about sound, this is Overclockers.com after all, but if we are going to say something more than "its pretty damn load" or "its fairly quiet" we'd need to consider what it takes in order to state reasonably accurate figures that are good enough to differentiate one piece of equipment from the other. 2. I am always skeptical of a retailer that does not show the UL number as this does (it's a Superflower) or doesn't have a UL number. We have been spoiled by our own Oklahoma Wolf, Paul Johnson and Gabe Torres.